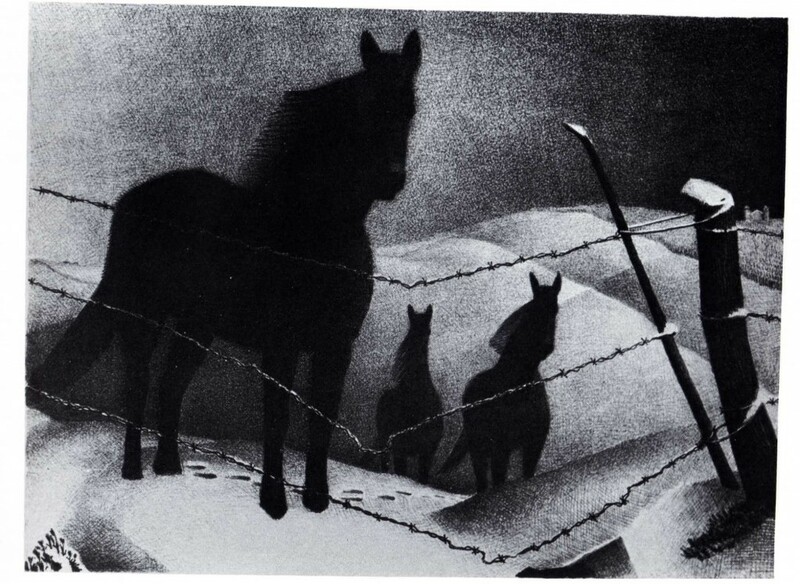 Grant Wood eked out a living in his early years. He was born in 1891, to a poor farming family in Iowa. When Wood was ten and his sister, Nan, just two, their father died. Wood raised corn and tomatoes to sell door to door, milked cows and did chores for his more prosperous neighbors. The family moved to Cedar Rapids, where he apprenticed in a metalwork shop and attended art classes when he could. He lived, and painted, in a carriage house that he shared with his mother and Nan. Wood taught school and was known in Cedar Rapids as the local artist. 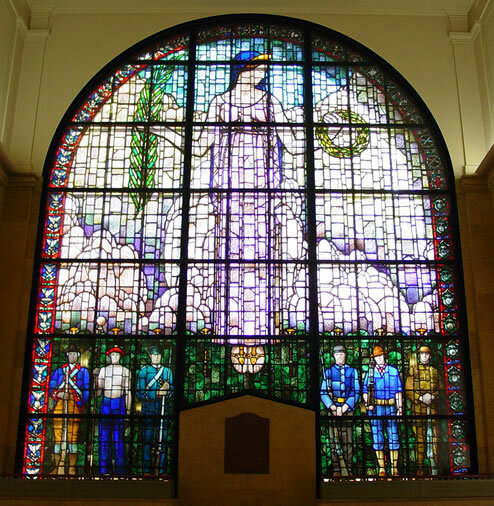 In 1928, just before the Depression was about to hit, Wood was commissioned to design a stained glass window for the Cedar Rapids Memorial Coliseum. The Emil Frei art glass company, in St. Louis, was going to make the glass for the windows, but because of the intricacy of Wood’s design, the glass had to be made at their factory in Munich, Germany. Wood was sent to Munich oversee and learn the process. It was during that trip that Wood saw the Flemish paintings that inspired him to paint American Gothic. Wood used Nan and their dentist, Dr. Byron McKeeby, as models for American Gothic. The painting was entered in a competition at the Art Institute of Chicago. It earned a bronze medal, a $300 cash prize and was purchased for the Institute’s permanent collection. It also garnered both praise and criticism. Critics thought it mocked the stoic culture of the midwest, and those who liked it appreciated the excellence of the composition and craft of the work. For the painting, Wood elongated Nan’s features and gave her a look of severity that was not her natural mien. She was 29 when the painting was done, much younger than Dr. McKeeby, but was often referred to as his wife, rather than his daughter, which embarrassed her. 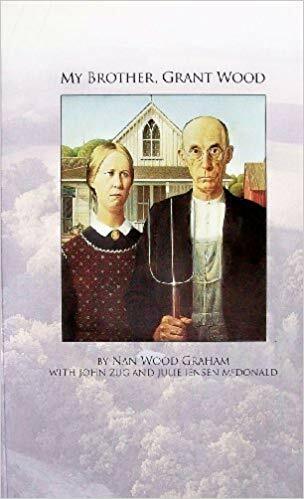 And, because American Gothic, and Wood, became so famous so fast, there was a lot of public controversy about the work and the character of its subjects. 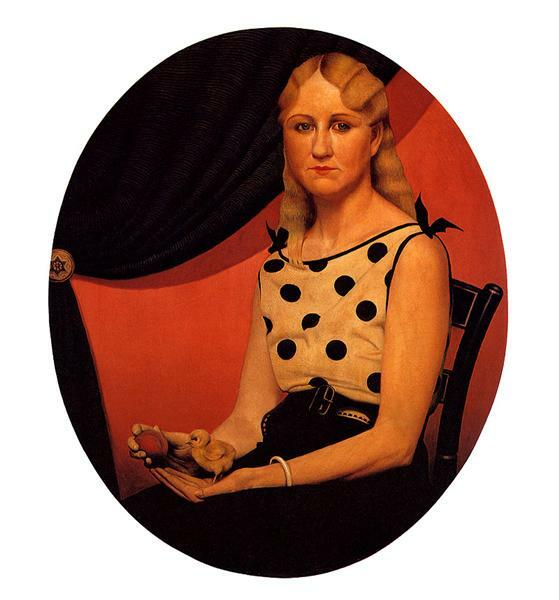 To make up for the hoopla, and Nan’s discomfort with the criticism, Wood painted a portrait of Nan in 1933, holding their pet chick, which reflected the warm person that she actually was. Nan was one of her brother’s most ardent supporters. My Brother, Grant Wood, published by the State Historical Society of Iowa, is Nan’s look at her family and the times in which they lived. Grant Wood died in 1942, a day before his fifty-first birthday. 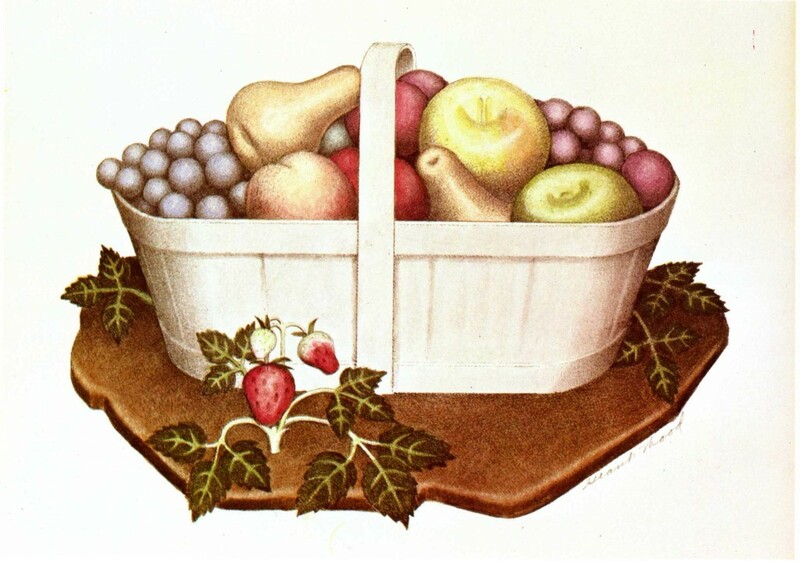 Nan inherited her brother’s estate, which included paintings and prints that she sometimes helped to create, like Fruits, which she had colored in 1939. Nan married real estate investor, Edward Graham. She died in Menlo Park, California at the age of 91.  Please contact us if you would like more information about the work of Grant Wood, or any of the other fine art available at the Surovek Gallery. Dennis Kardon. Why Most People Don’t Get Grant Wood. Hyperallergic. April 20, 2018. Nan Wood Graham, John D. Zug, Julie McDonald. My Brother. Grant Wood. State Historical Society of Iowa, 1993. Want to learn more about a particular artist or work? Contact us.